Göran Berndes’ research integrates land use, industrial and energy systems at scales ranging from local case studies to the global context. He is particularly interested in sustainability effects of land use and biomass production for food, energy and materials. Recent years, much of the research has focused on climate and environmental effects of bioenergy and other biobased systems, and how the promotion of biobased systems can help meeting ambitious climate targets. 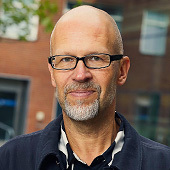 Relating to this, he has investigated how new biomass production systems can be integrated into landscapes to mitigate existing land use impacts and improve resource use efficiency.Göran has contributed to three previous IPCC reports and currently serves as coordinating lead author in the Sixth Assessment Report. He is since about ten years engaged in the implementing agreement for bioenergy within the International Energy Agency (IEA) and he currently leads IEA Bioenergy Task 45 - Climate and sustainability effects of bioenergy within the broader bioeconomy. At Chalmers, he leads the profile Energy in a Circular Economy within Chalmers Energy Area of Advance. How is biodiversity protection influencing the potential for bioenergy feedstock production on grasslands? Who owns the Brazilian carbon? 'Examples of Positive Bioenergy and Water Relationships', a report from the GBEP-IEA Bioenergy collaboration within the GBEP Activity Group 6 "Bioenergy and Water"
May we have some more land use change, please? Hur mycket biomassa finns det? How much land-based greenhouse gas mitigation can be achieved without compromising food security and environmental goals? The revision of the Brazilian Forest Act: increased deforestation or a historic step towards balancing agricultural development and nature conservation? How much biomass is available? Environmental Impact Assessments: Suitable for supporting assessments of biofuel sustainability? Is it possible to avoid bad impacts by using good fuel ethanol? Proceedings of the 16th European Biomass Conference & Exhibition - From research to industry and markets, Feria Valencia, Spain, 2-6 June 2008. Multifunctional biomass production systems – an overview with presentation of specific applications in India and Sweden. Views on the implication of possibly changing the limit established for small-scale afforestation and reforestation clean development mechanism project activities. Submission to the UNFCCC Secretariat based upon call for submission, 19 February 2007. Conference proceedings presented in The second world conference on biomass for energy, industry and climate protection in Rome May 10-14, 2004. The contribution of biomass in the future global energy supply: A review of 17 studies. Global biomass requirement. Sustainable use of lead? There might be more projects where Göran Berndes participates, but you have to be logged in as a Chalmers employee to see them.